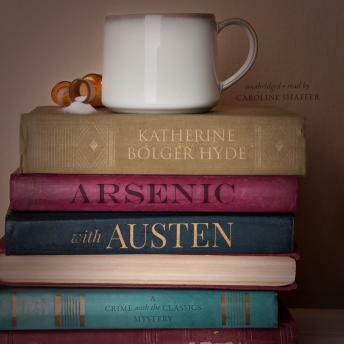 Arsenic with Austen is the first book in a delightful new cozy mystery series in which an English teacher becomes involved in murder cases that reflect elements of her favorite books. When Emily Cavanaugh inherits a fortune from her great aunt, she expects her life to change. She doesn't expect to embark on a murder investigation, confront the man who broke her heart thirty-five years before, and nearly lose her own life. Emily travels to the sleepy coastal village of Stony Beach, Oregon, to claim her inheritance, centered in a beautiful Victorian estate called Windy Corner but also including a substantial portion of the real estate of the whole town. As she gets to know the town's eccentric inhabitants-including her own once-and-possibly-future love, Sheriff Luke Richards-she learns of a covert plan to develop Stony Beach into a major resort. She also hears hints that her aunt may have been murdered. Soon another suspicious death confirms this, and before long Emily herself experiences a near-fatal accident. I enjoyed this mystery though it was predictable. I did not enjoy the Austen references but that’s just me. I probably would not read another in this series but would encourage others to try it. I love mysteries. Howver, this is a big disappointment. The read is slow and predictable.